Ignite your colouring with brilliant, luminous shades. ILLUMINA COLOR is Wella's biggest colour innovation in over 20 years. It features a palette of 38 shades, each one bursting with gorgeous light, that deliver colour results with incredible shine and luminosity. Blondes become elevated, dark browns develop natural gleam and auburns shine with gloss and vitality. It's all thanks to Wella's patented Microlight technology. This works by protecting the cuticles so that they remain clear, thus allowing light to pass through and so illuminating the natural high and low lights from within the hair. Crucially, this is effective in any kind of light and Wella claim their tests show up to 70% more light reflection than their biggest competitor. ILLUMINA COLOR is designed for mixing 1:1 with Welloxon Perfect and will give up to 100% coverage of white hair with a sheer result. Vary the strength of Welloxon to achieve different levels of lift—6% for 1 level, 9% for 2 levels or 12% for 3 levels. Not recommended for mixing with Koleston Perfect. 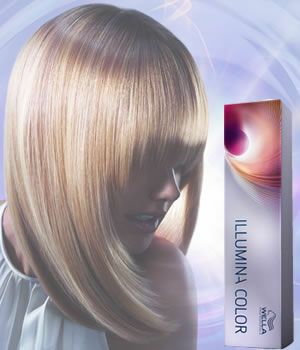 Buy any 11 tubes of Wella Illumina and pay for only 10, taking the average price per tube down to an amazingly low £8.50!! 5 opalescent, no-depth shades with warm and cool light reflections that are intermixable with any other ILLUMINA shade. Special offer! Buy 3 litre bottles for the price of 2! Limited time only! 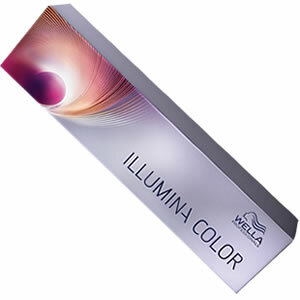 High quality colour developer specially formulated for Wella tints and bleaches. Available in 500-ml or 1-litre bottles of 9% or 12% solution. Lightweight colour service post treatment that protects and enhances oxidative (demi and permanent) color results. Comes in a 1-litre bottle.